There were 719 press releases posted in the last 24 hours and 153,591 in the last 365 days. BLOOMFIELD HILLS, MICHIGAN, USA, November 29, 2018 /EINPresswire.com/ -- Blogging is undoubtedly an incredibly potent marketing device. But according to Scott Zack, many people are forgetting about it’s equally potent cousin - social media. In 2018 everyone should have a blog. Not only is it a great way of distributing information, it’s an invaluable method of connecting to your audience and drawing traffic back to your website or online shop. And while many people understand the fundamentals of blogging - how to start a blog, the importance of writing relevant content, the structure and the SEO components - there are still some who don’t utilize social media to completely leverage the complete power and reach of a blog. Below, with the help of blogging expert Scott Zack, we will explore the importance of the inextricable relationship between social media and blogging. While this is hardly a question that needs answering, it’s important to have the definition on hand as a baseline. Social media refers to a number of sites specifically geared towards connecting people. It allows them to share content in the form of written thoughts, photos and videos, and is essentially an extension of a person’s personality online. Scott Zack posits that the most popular social media sites currently online are Facebook, Instagram, Pinterest, Twitter and LinkedIn. Why is social media important for blogging? “Social media is important for two reasons.” Scott Zack says. “Firstly, from a blogging perspective, social media allows you to bring in some of the most targeted traffic available. 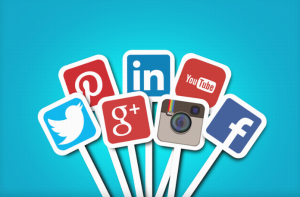 Secondly, from a brand perspective, social media allows you to get invaluable feedback from your clients and readers, and allows you to tailor your content more specifically to your audience.” And between these two points, social media also allows for the building of strong relationships with your readers, further increasing their loyalty to your site or product.